We quickly settled into our tiny Surry Hills apartment, which will be our home for the next10 days. The kids were glad to be able to pull out all their toys and play with some of baby Eric's toys. We got to meet baby Eric, as he will forever be known to us, when we picked up the keys about a week ago. The wonderful couple who rented their place to us encouraged the kids to have fun and play with anything they wanted. We were left in charge of feeding their fish during our stay, which seemed like a pretty fair trade. While I did laundry, familiarized myself with the kitchen, and organized our clothes and belongings, the kids enjoyed the outdoor patio space. 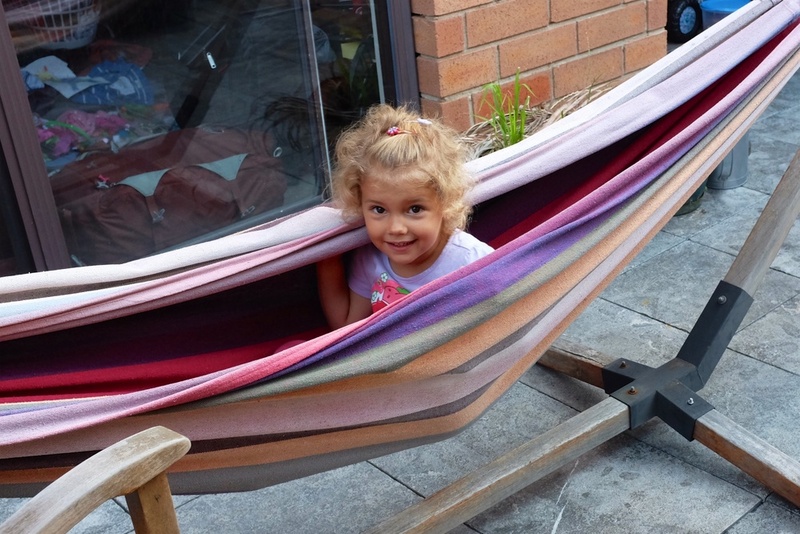 Hannah particularly loved the comfy hammock. After a nice day of rest and relaxation at the apartment, we decided to take a walk in our new neighborhood and also grab some dinner. Surry Hills, with it's quaint and unique restaurants and boutique shops, reminded of a tiny version of Soho in New York City. It is definitely an up and coming neighborhood with a lot to offer. Our apartment was just a short walk to Crown Street, a very lively street with lots of restaurants and shops. 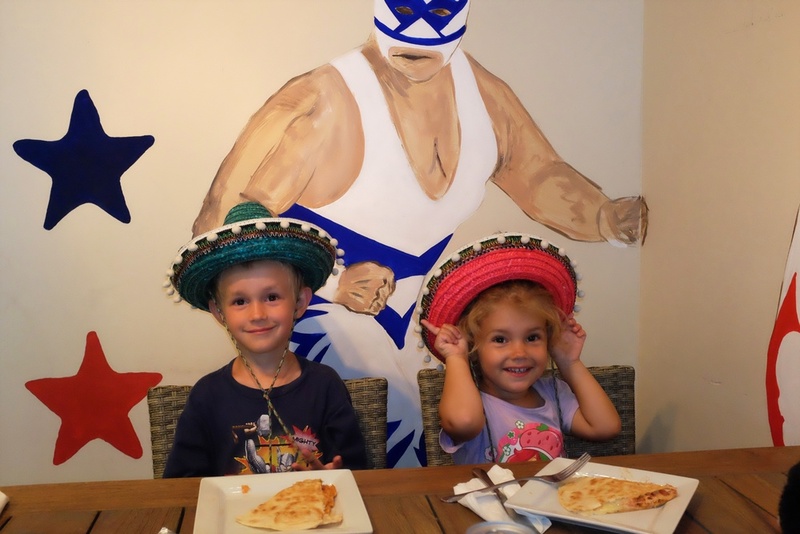 We settled for Mexican Food at a little place called Mexican Burrito Cantina, partially because the decor looked fun, and as a bonus the kids got to wear some fun sombreros.